Pricing table is a critical resource in presenting your products, services, and overall offers. It ensures quick visualization, comparison, and understanding of the important and very often complex data. This is one of the best ways to help the site visitors immediately notice the value of your propositions. Imagine a modern multitasking person who is surfing through the sites while popping out for lunch and is trying to find some best options. We doubt that this person will have time to stop on the site with tons of unclear text explaining the benefits, differences, etc. of your offerings. The logic of this is explained by a lot of conversion experts. They claim that simplifying the forms of presenting your web content and making it clearer must be the direction to follow if you want to keep the site visitors more engaged and eventually gain profit. 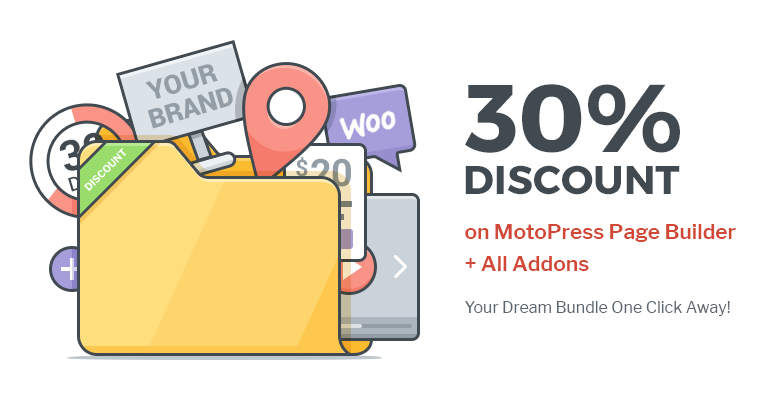 To enhance the overall customer experience and help you showcase any kind of products and services, the MotoPress Team also developed the Pricing Table addon – an advanced solution for creating stylish and animated pricing, comparison, reviews, etc. tables by applying several manual customization steps. Setting up of this addon is as easy as of any other MotoPress product. 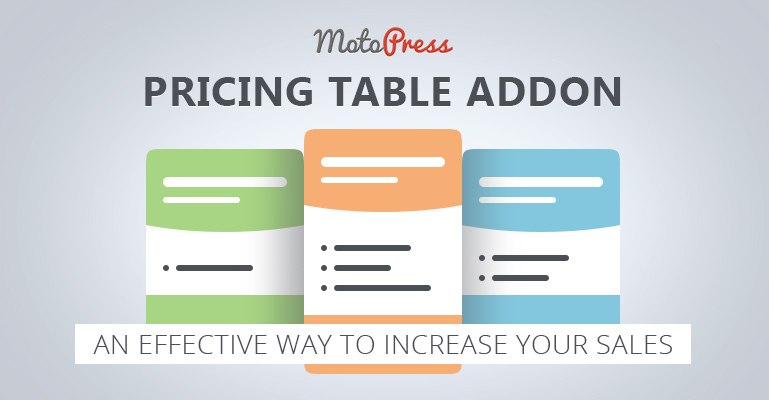 Activate the addon after installation, launch the MotoPress Visual Page Builder (required) and drag the Pricing Table to the central column of the admin area. This addon also falls under GNU GPL license allowing you to modify and share the software. What’s so cool about the MotoPress Pricing Table addon? Ease of customization thanks to clearly organized admin tools (drag-and-drop and WYSIWYG solution). You are getting used to it very fast. Well-coding for better search engine rankings. An ability of mixing different colors in one table. Advanced options for enhancing the selling possibilities (adding buttons like PayPal, custom ones via shortcodes, HTML code, etc.). Using the tables for different purposes: pricing for any products and services, presenting a team, comparison table, blog reviews, city guides, etc. Automatic applying of your custom style to all further added columns. setting some of the needed items as “special” (e.g. special offer, popular, best deal, time-limited deal, top, etc.). These ones will be enlarged a bit. You definitely know how to make it look beautifully on your website, but you may take a look at the list below just to check whether you’ve noticed all the important points. Adjust the needed buttons of the pricing tables with maximum calls-to-action (like marking some of the items “special” or tagging as time-limited) to increase the conversions. It’s a proven marketing strategy. Apply the suitable colors to match the entire website color scheme: don’t use too contrast, unmatching, or too many vivid colors. Try to design the tables to match the entire style of your site: traditional look or modern, black-and-white or glamorous, etc. In short, the Pricing table tool is your smart, quick and successful go-to-market strategy, which will help to provide the customers with your distinct propositions in a very effective way and achieve competitive advantage. In the dynamically changing web world every piece of your entire website should be maximum unique, trendy, and functional. This was exactly the combination the MotoPress techs tried to achieve developing the Pricing Table addon. You should give it a try!